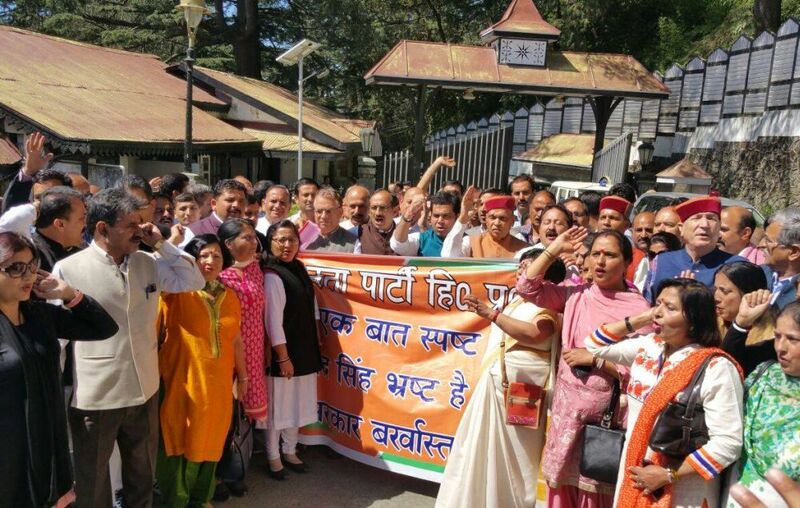 Shimla: Stepping up attack on chief minister Virbhadra Singh, the Himachal Pradesh BJP has announced to start statewide ‘Virbhadra Hatao- Pradesh Bacho’ Campaign. 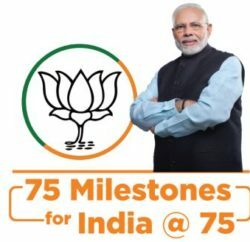 Sruesh Bhardwaj, former state president Himachal BJP and Chief whip of the legislator party and Randir Sharma MLA, in their joint statement said during this campaign, demonstration will be organized in all constituency from 8th October, 2015 to 25th October, 2015 and from 25-10-15 to 10-11-15 big rallies and processions will be organized at district level in all the 17 organizational districts throughout the state. 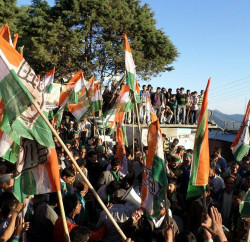 The state BJP also decided to organize big rally at Shimla if Chief Minister doesn’t step down or removed from office. Bhardwaj and Sharma said that BJP legislator party in its meeting held on 5-10-2015 at Shimla passed a resolution demanding dismissal of the Virbhadra government. They said that ‘Virbhadra Hatao- Pradesh Bacho’ campaign is being launched in the state in the wake of CBI raid and FIR against Virbhadra Singh. Himachal BJP leaders’ lamented that instead of resigning from the office Chief Minister and his associates have started accusing BJP leaders and central government. BJP legislator party said that FIR against Virbhadra Singh has been registered for the allegations leveled against him when he was steel minster in the UPA government and at the time he was forced to resign from the ministry. 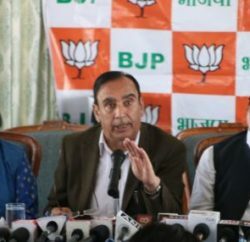 BJP leaders claimed that all cases, namely filing of revised income tax returns wherein income from apple orchards was inflated 15 times, cores of rupees taken from V Chandershaker and deposited directly in the bank accounts and purchase of shares in Tarini company or purchase of farmhouse in Delhi pertain to the period when UPA was in power, BJP leaders further alleged. They also ridiculed the statement of Congress leaders, in which they were accusing BJP for hatching political vendetta against non-BJP ruled state and reminded the case against Virbhadra Singh in Dehli high court demanding CBI inquiry was filed during the reign of UPA-ll. Bhardwaj stated the Congress leaders now targeting BJP leaders to save their skin. He also blamed Congress leaders for misleading the common people over the court decision of granting any kind of relief for him. He claimed that Virbhadra Singh has sought the relief of quashing the FIR but the court refuse to do the same and even asked premier investigating agency to continue with the probe.